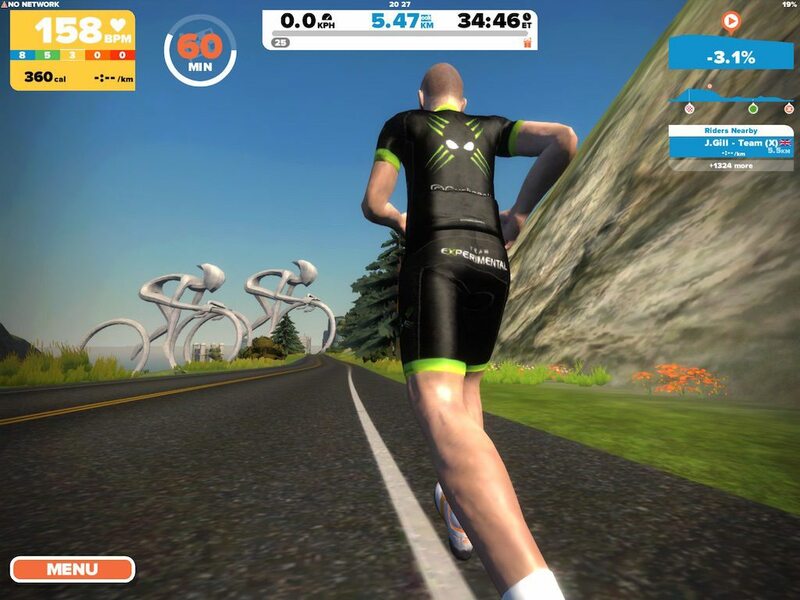 Zwift Running iOS Review – Your treadmill just got upgraded! 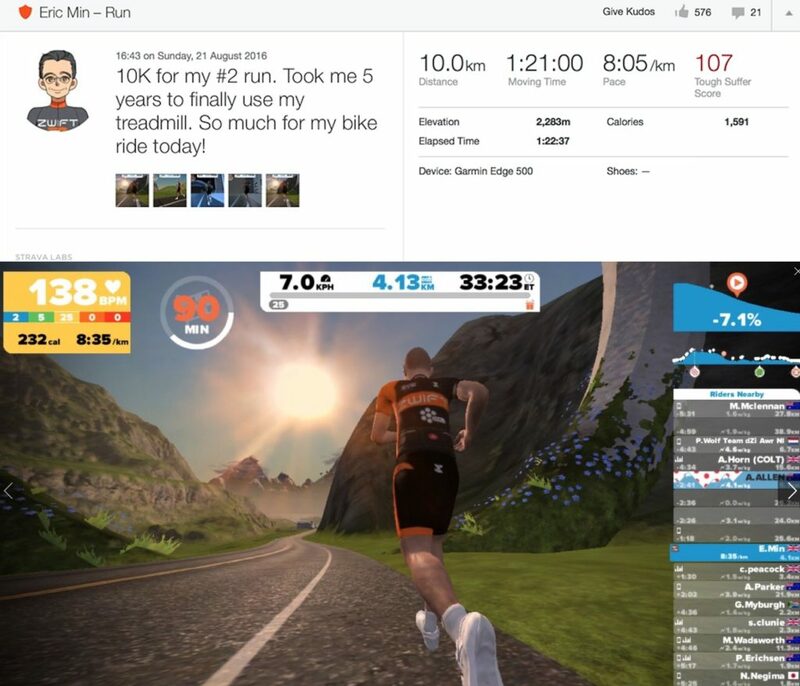 In August of this year Zwift CEO Eric Min set the FaceBook Zwift groups of fire, by casually posting Strava activity of him running on Zwift. 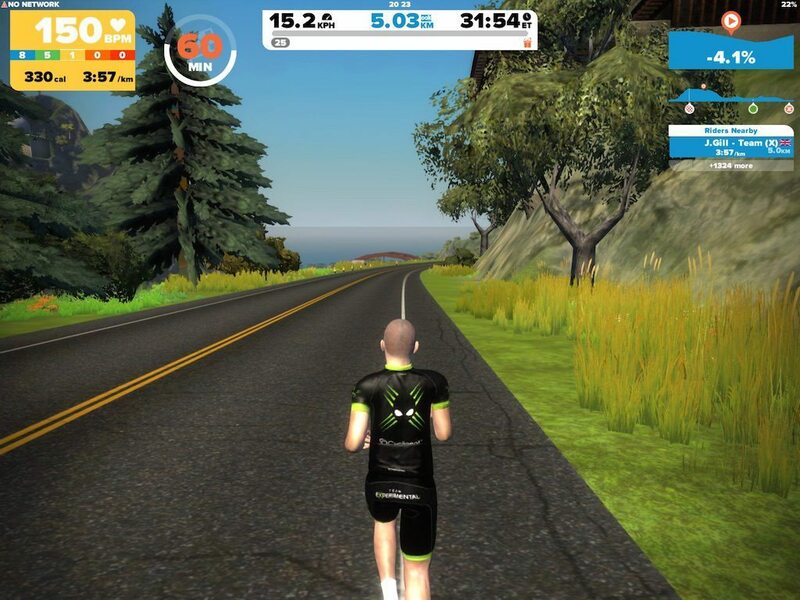 Clad in the companies Zwift/CCP cycling jersey, but bereft of a bike, I actually think this is something I have been more interested that Zwift iOS generally. Please don’t confuse that statement, the ease of Zwifting from an iPhone, or iPad is cool, but it is still the Zwift we know and use daily. 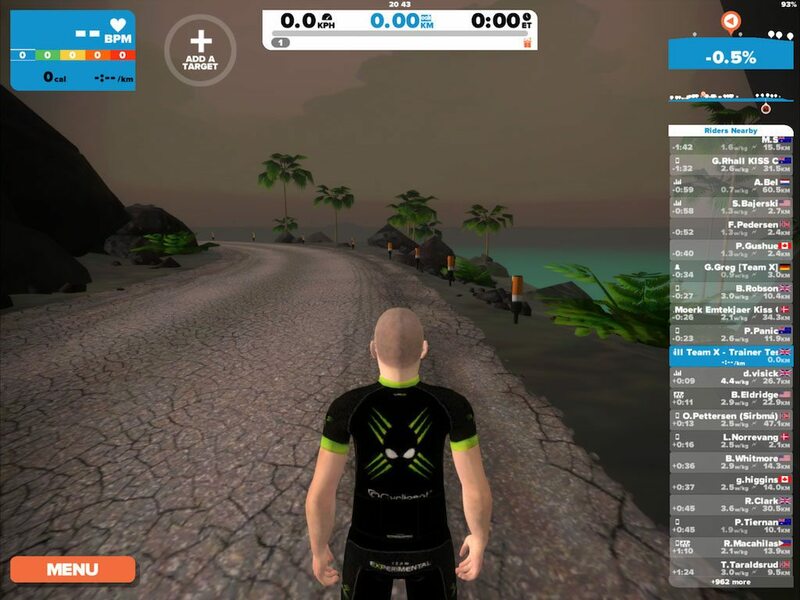 Zwift running however, now that is new, and very interesting! Let’s be clear about Zwift Running before we get any further. From rumblings a few months ago, Zwift Running is being viewed as a “hobby”, in the same way Apple classed iOS TV as a hobby for a while. The version of Zwift Running I had access to wasn’t a code or, something sent over the airwaves, it was on a physical iPad I was loaned briefly for demonstration at ZwiftCon UK. One story I was told about regarding the inception/development related Zwift Running was related to one of the wives of a Zwift HQ staffer. Their partner had a running group which they enjoyed, but when travelling with work wasn’t able to get to their meetups. The discussion ensued at ZwiftHQ along the lines of, “We meet up on Zwift for our group rides etc wherever we are in the world, wouldn’t it be cool if we could do the same with a running group? 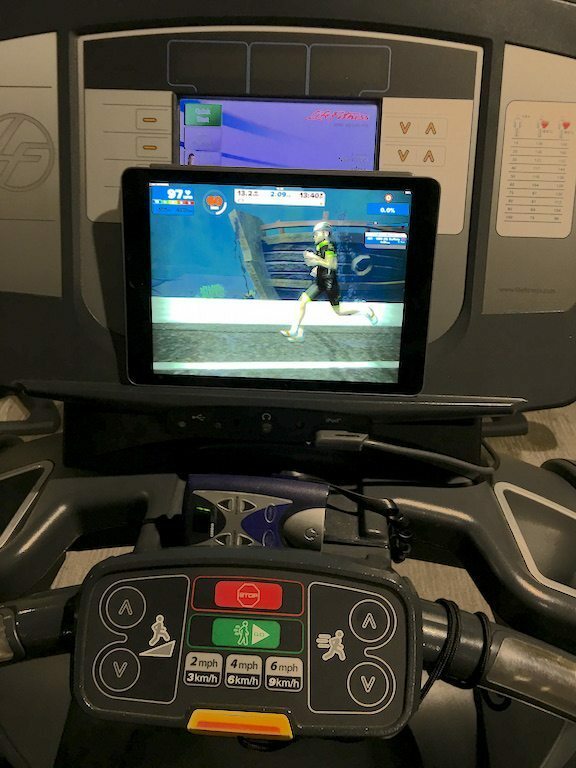 Pop down to the hotel gym, jump on the treadmill, and be able to run together…” So now we have Zwift Running in development. I say in development, the build is excellent, but I have no idea when this is going to get a release. So enough of development stories, let’s have a look at the software! Unlike Zwift cycling which needs a bike (I know, shocking!) 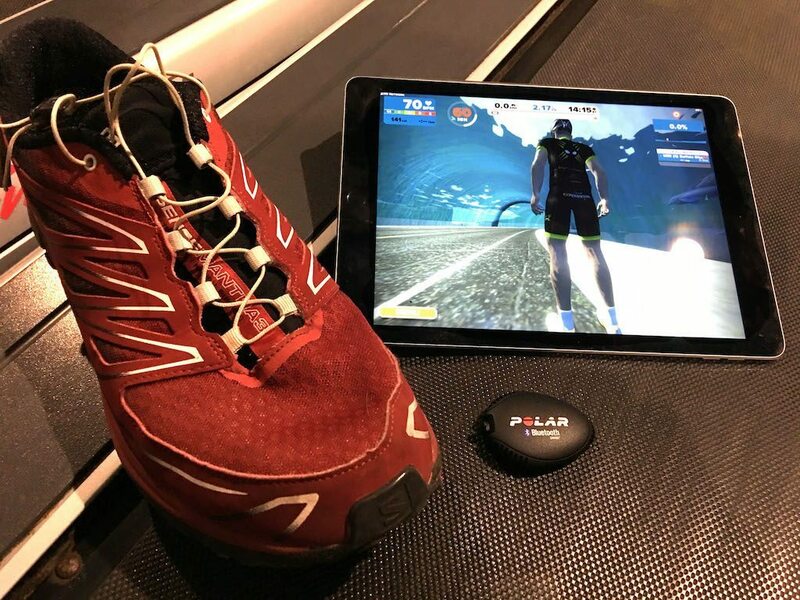 with at least a speed sensor and a turbo trainer to allow you to spin, Zwift Running needs only a footpod… ok and a treadmill, ok AND the iPad/iPhone. The point is, if you already have access to a treadmill, let’s say via a gym membership, or when in a hotel, the cost to entry into Zwift running is the ~ £40 for the cost of the Bluetooth foot pod. 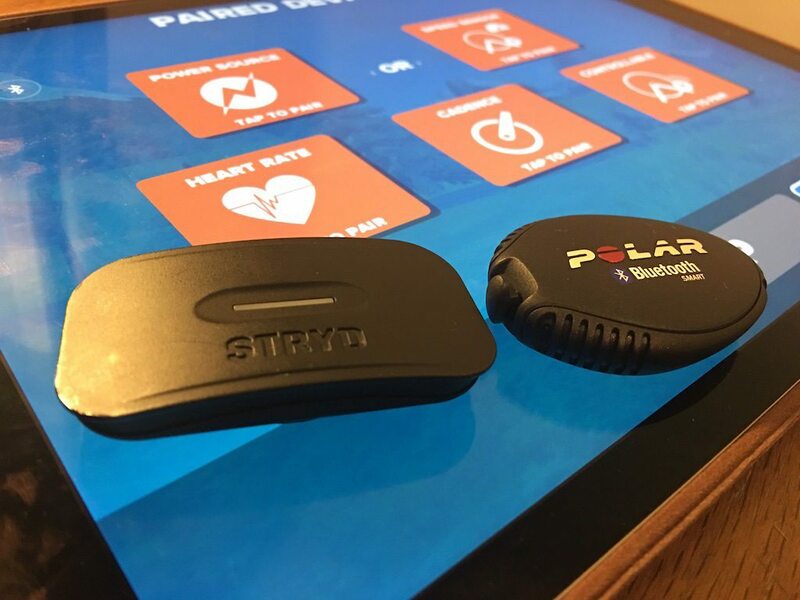 It is best if you calibrate the S3+ first, as that will improve the accuracy on Zwift, and when using it generally, however that does need a compatible Polar W.I.N.D. device. Not having one to hand, I just used as is. However this time we have a new button! 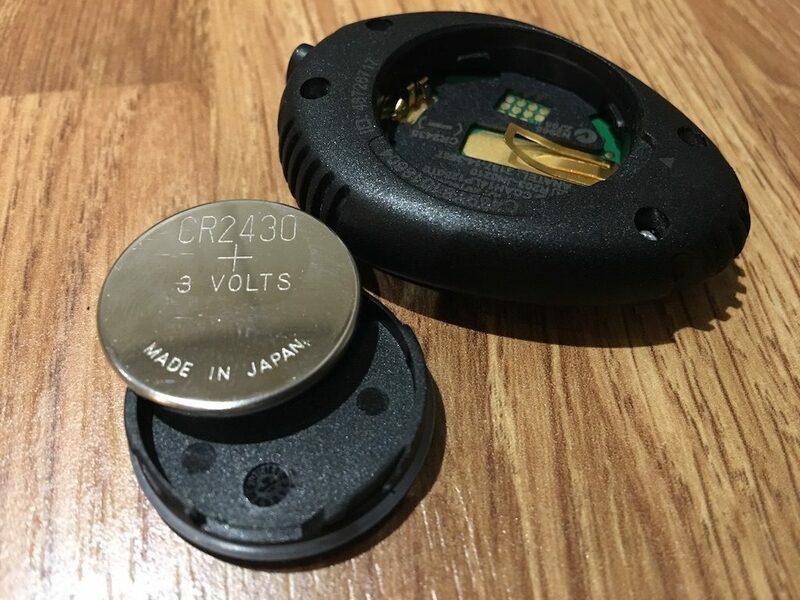 This new button allows us to specifically pair our running cadence pod. Just to clarify this is a one-way communication type of thing. 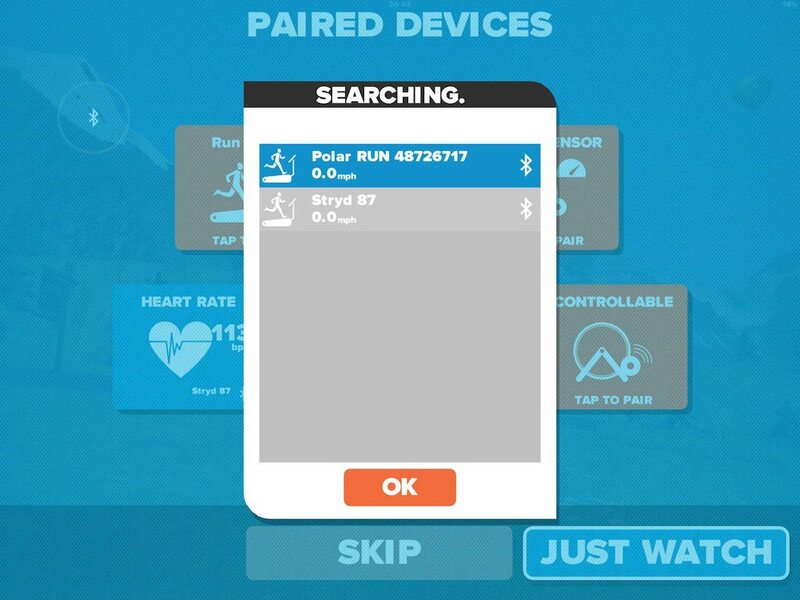 Although when paired the button shows your speed, this is the speed the footpod is calculating you are running at, not the speed of the treadmill. 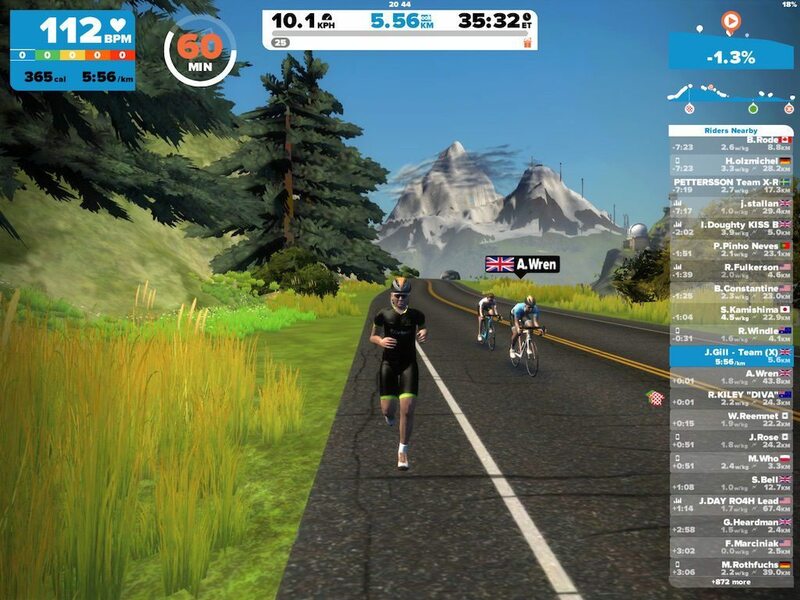 There is no capacity for Zwift Running to control a treadmills speed yet – although it will be interesting to see if Tacx cooks up something clever with the Magnum trainer, and the controllable trainer function on Zwift, perhaps adjusting the incline as well? 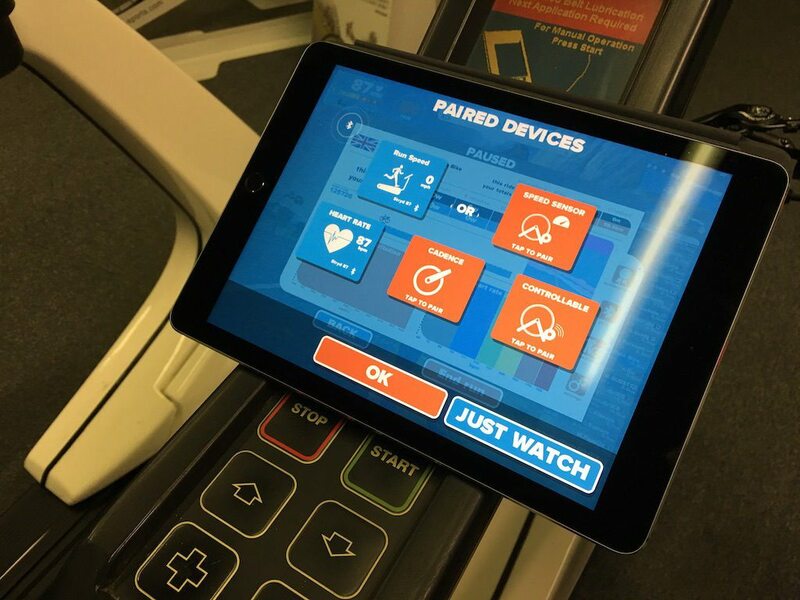 For the time being, you are going to have adjust your treadmill incline as you run along yourself, which may be a slight issue for treadmills that have inclines on 1-10 setting, rather than Zwifts more accurate percentages. So we hit the button and search for a foot pod. Once the cadence sensor sorted, you are good to go – don’t forget though; you are playing with iOS here, so you’re out of luck with ANT+ cadence sensors. 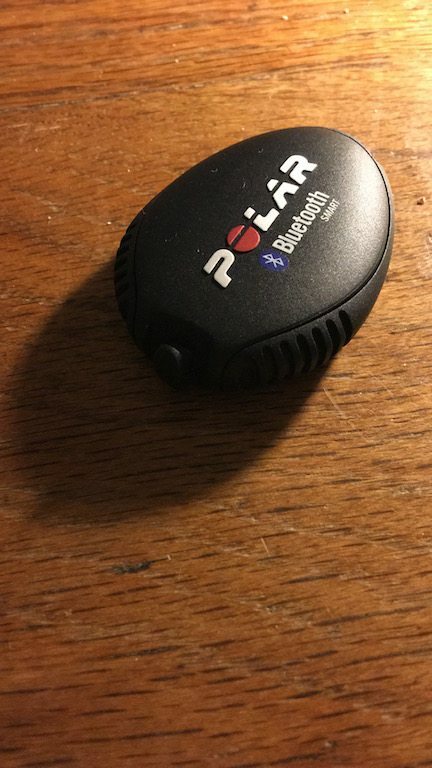 Although bridge devices such as the 4iiii Viiiiva could be used to transmit the data again via Bluetooth to Zwift iOS to get you running. As you are running, you might want to pop into your profile, and swap out your helmet and gloves. 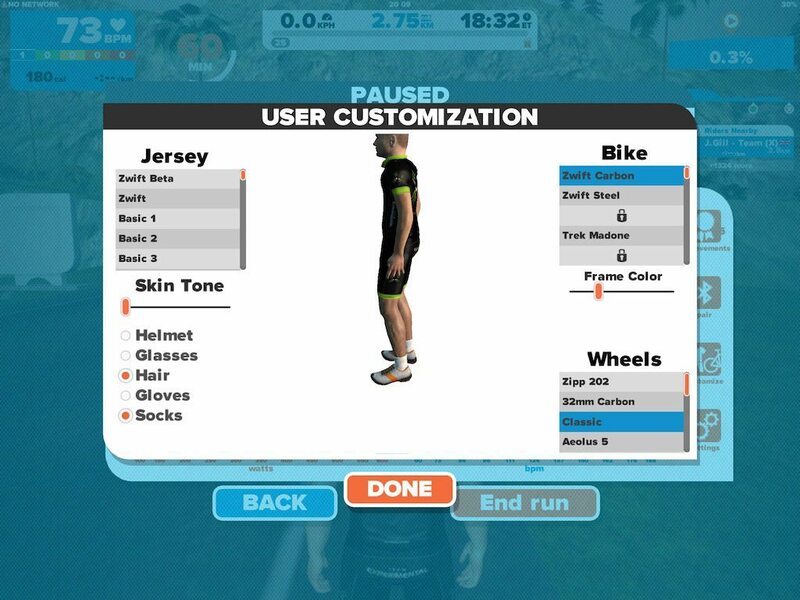 Although currently Zwift has no running specific kit. But then I’m always happy in my Team X kit. 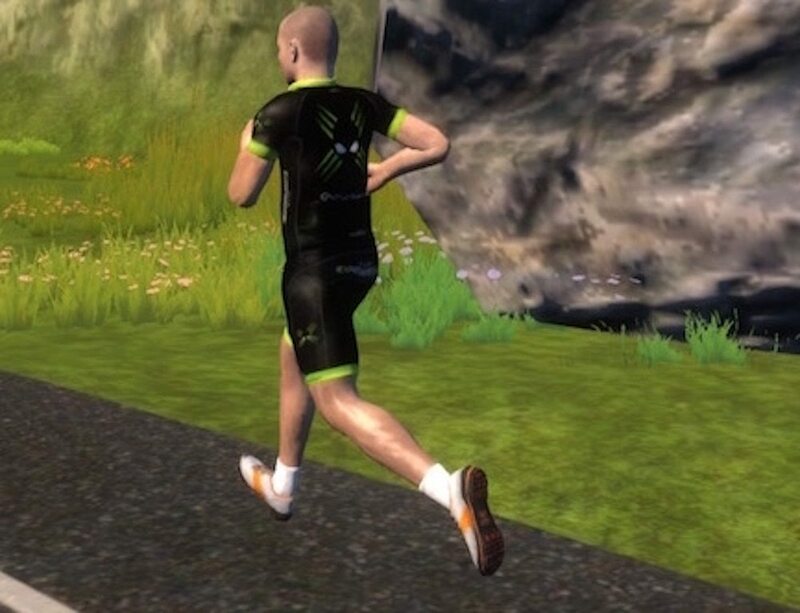 Zwift have clearly put a lot of work into the look, even down to the treads on the runners feet! Once we are paired, and we’re happy with our outfit, we are nearly ready to head off. Make your selection, and then hit the “ok” button and head off for that jog! 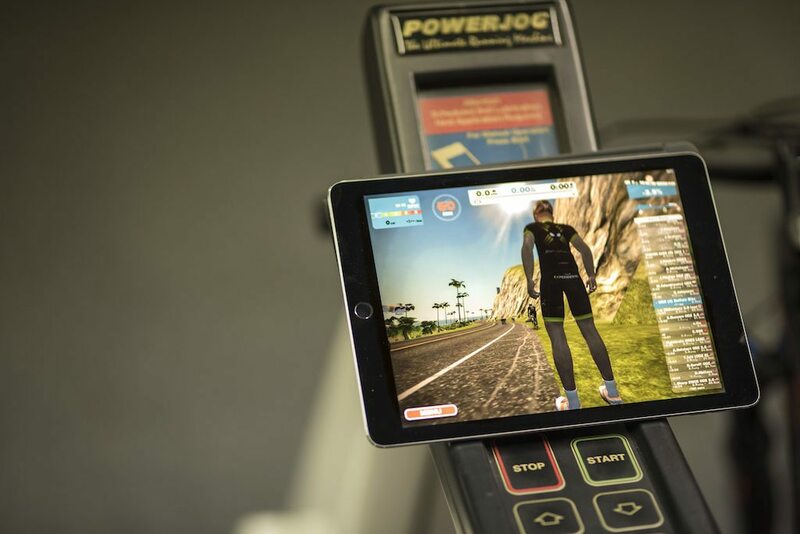 For some people, starting an iPad, or possibly even an iPhone is not going to give them a premium experience, but as we’re using the Zwift app on a iOS device we have the option to Airplay to a larger screen with AppleTV, very much like regular Zwift, building on the immersion. 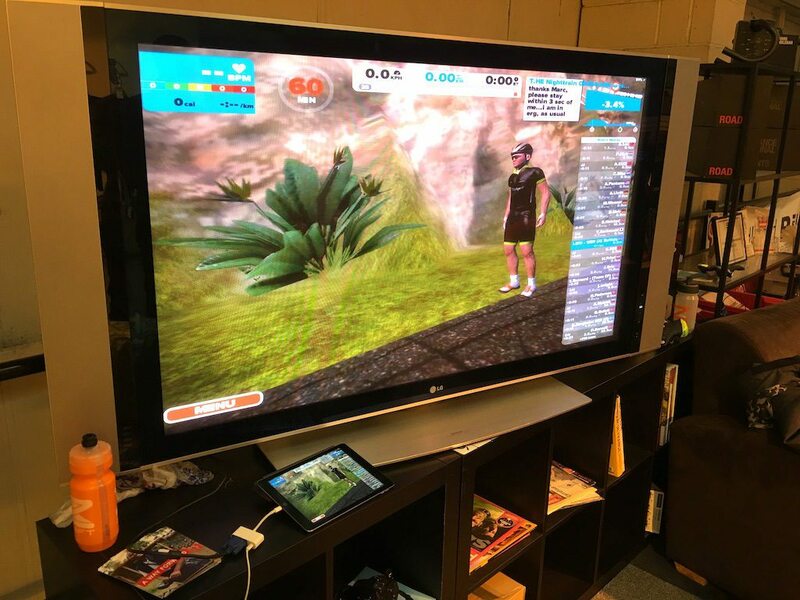 But even without an AppleTV you can connect via an HDMI/DVI/VGA dongle, and just rely on the distance of Bluetooth transmission to keep the cadence data rolling in. There are a few slight interface changes when you are in the running system. 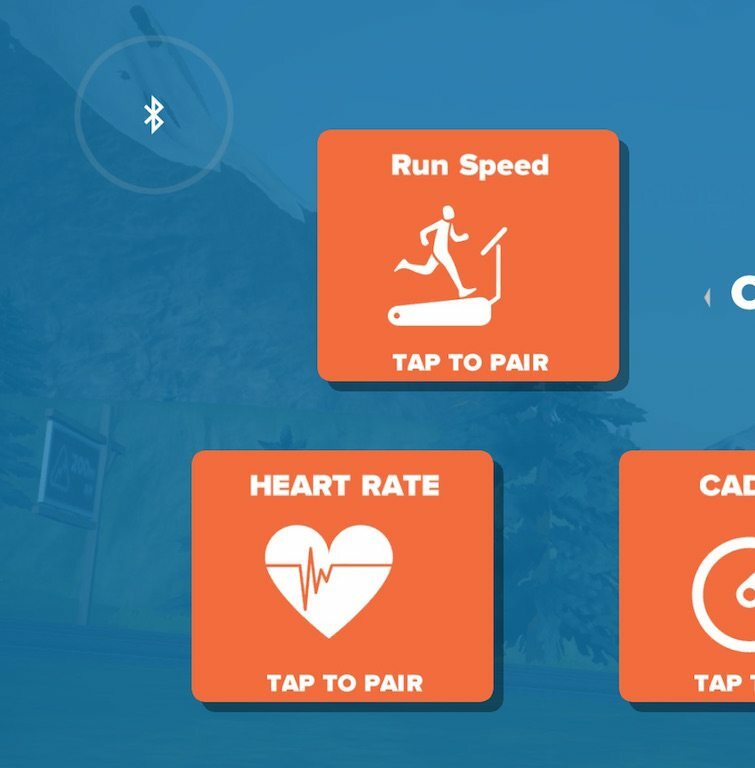 Next to the heart rate data is the circle we normally have the power ups in. 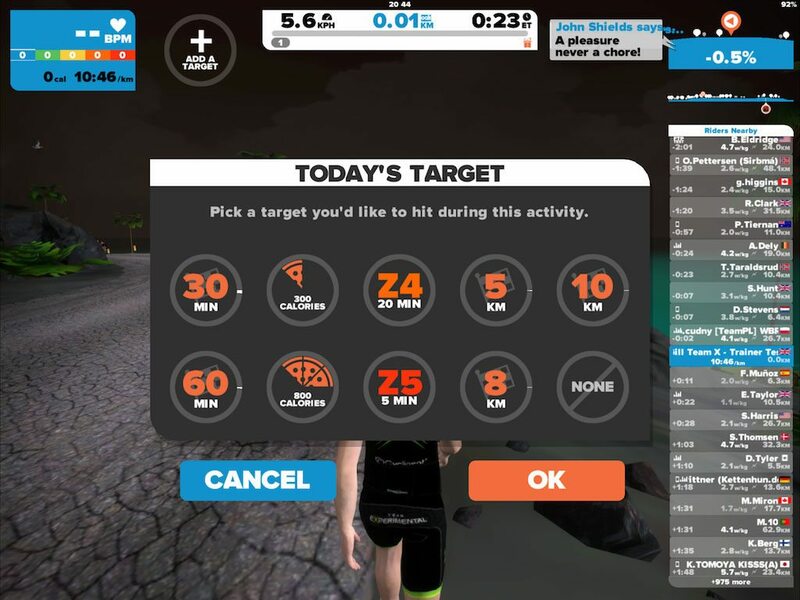 Whilst in Zwift running mode, the circle displays your progress in the activity you have selected – either running distance or time. Now, most gyms; well hotel gyms anyway tend to be dungeons without any form of mobile/wifi signal. 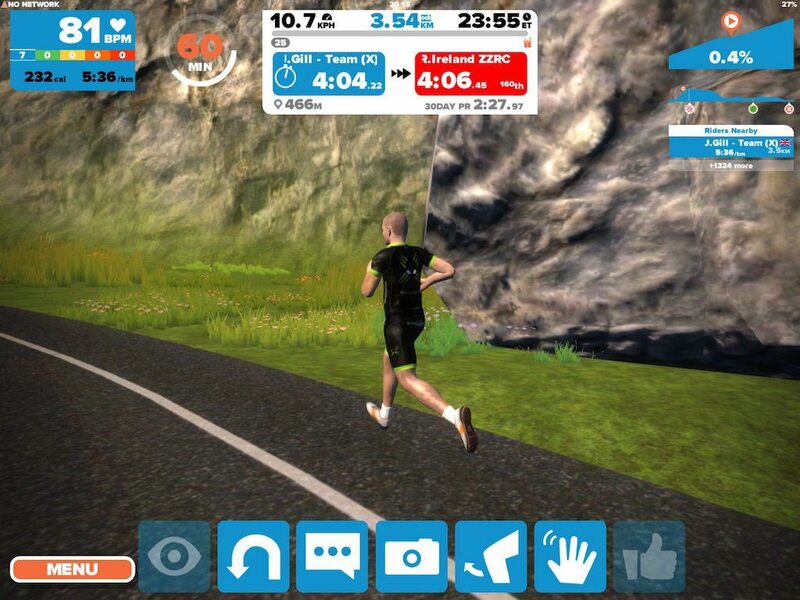 Zwift have prepared for this, as Zwift Running is completely self-contained and does not need an internet connection until you want to upload your run. Note on the left-hand side of the above screen. I’m running all alone, this same as when you have an internet dropout when cycling on Zwift. Now I was completely blown away by Zwift VR and the ability to look around whilst riding. But that is not actually very realistic, cycling we’re normally more fixed forwards, which is why Zwift on large screen tv’s works so well. Running is different though, we do look around a lot more. If the technology can catch up to create a light weight system, which can deal with sweat, then suddenly Zwift VR becomes astonishingly important. Watching Zwift grow and Jon Mayfield develop his world is great, but I’m genuinely interested to see where Zwift will be in 1-2 years from now… I’m hearing comments about running tracks off road as well! Makes sense, the designers have created these wonderful vistas, and yet we are only using small parts of the existing island! All looks very fun!